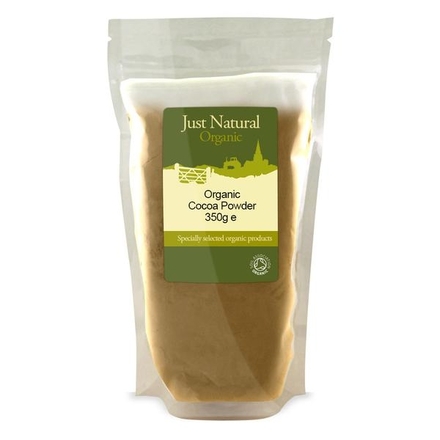 Cocoa Powder 500g, Organic (Just Natural Organic) - HealthySupplies.co.uk. Buy Online. Perfect for hot chocolate and cakes.